Scroll down to the bottom of this page, and enter your credentials for the tenant you want to connect to (or create, if you don’t have one). Honestly, I don’t know what the phone number has to do with it, but it requires it. 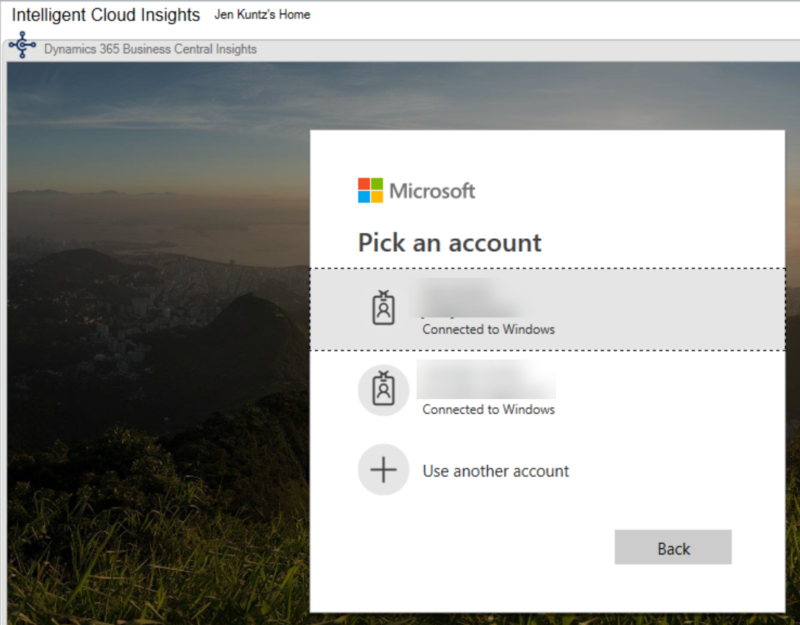 If you already have an account in Azure/Office 365, you will be prompted with something like this. Next up is a warning that your admin may assume control over your account and data. It feels like I’ve already logged in at this point, but all I’ve done is click through a variety of warnings. At this point it actually wants me to log in. I am still inside Dynamics GP at this point, by the way. Finally it appeared to be doing something! 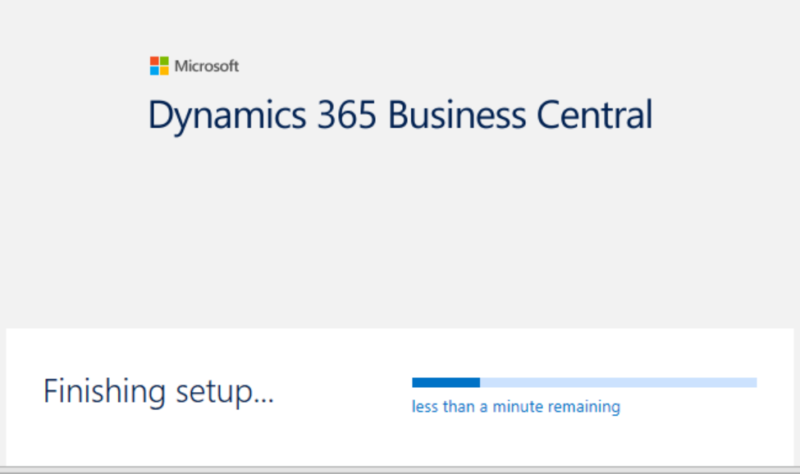 Next up, since I don’t have an actual Business Central tenant, it asks me to set up a trial. I clicked on Get Started to continue. 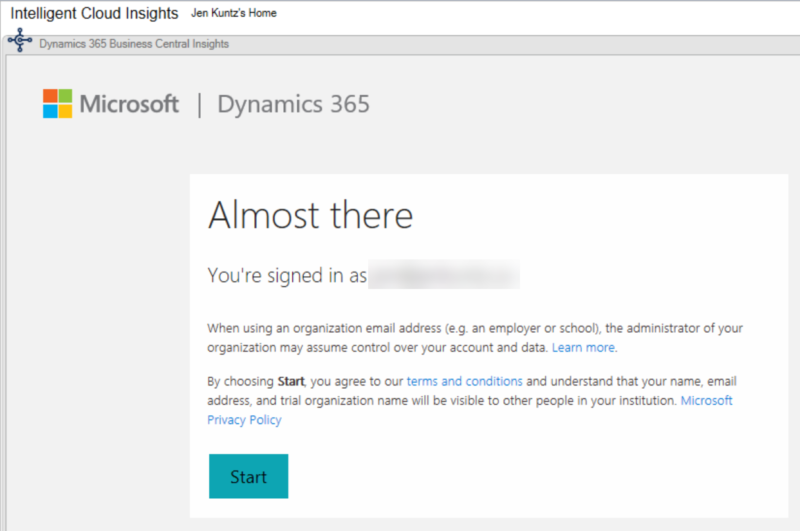 Now in a regular browser, I log into my O365 tenant and Dynamics 365. 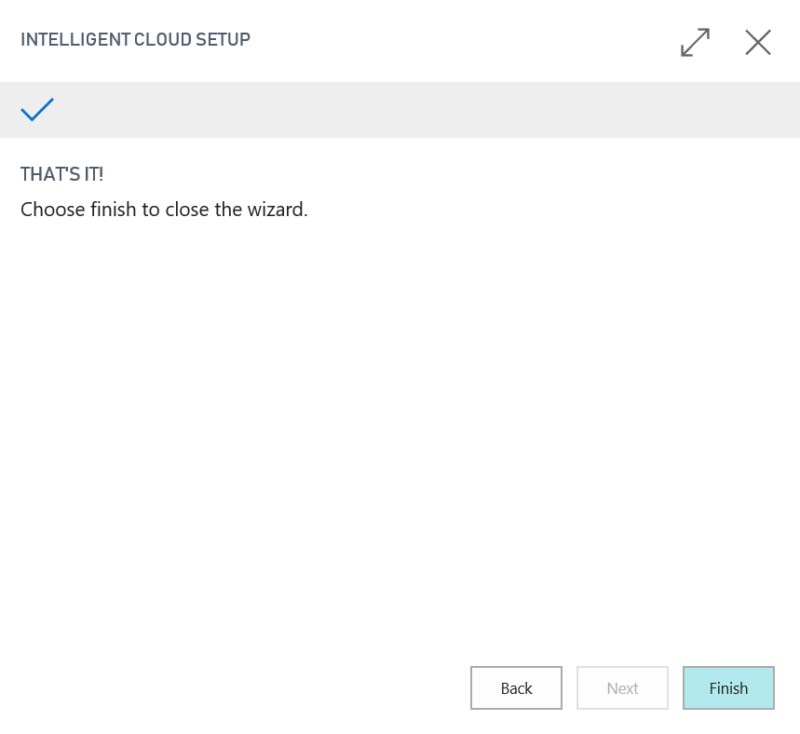 I go to Setup & Extensions, scroll to the bottom and select Set up Intelligent Cloud. 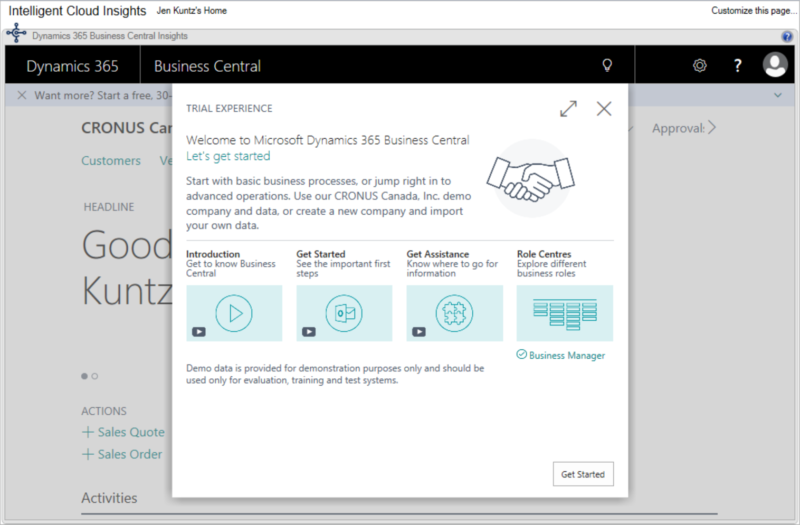 This is the bare minimum you have to do, not go through any other trial setup, as you’re not actually setting up “Business Central” itself. 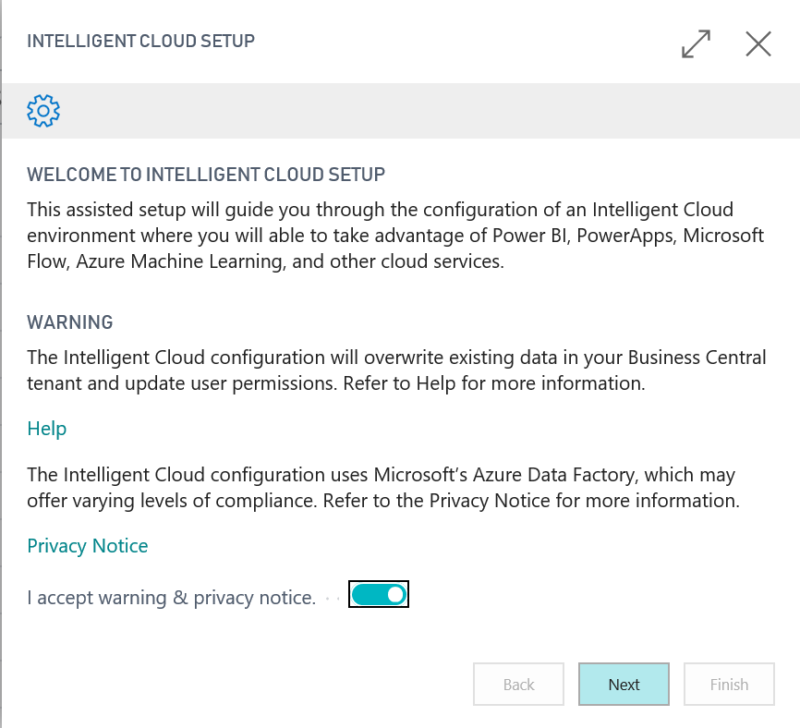 In the Intelligent Cloud Setup, accept the terms and click next. In this next screen, select which product you are planning on replicating from. 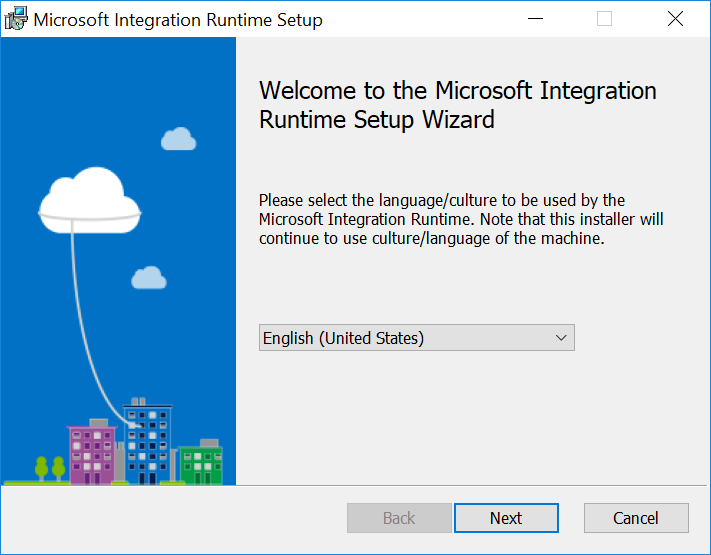 The first time here, leave the Integration Runtime Service field blank if you don’t have one and it will bring you to the subsequent screen to install that. 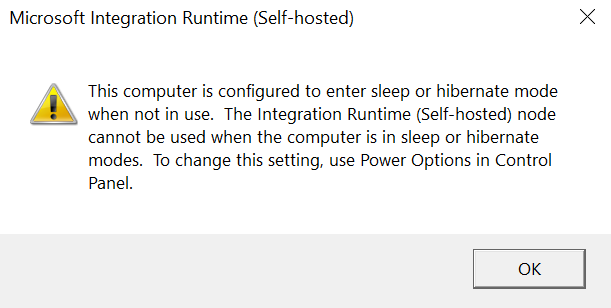 In the instructions phase, you are given a link to download the Self Hosted Integration Runtime file. The next section will run through that. 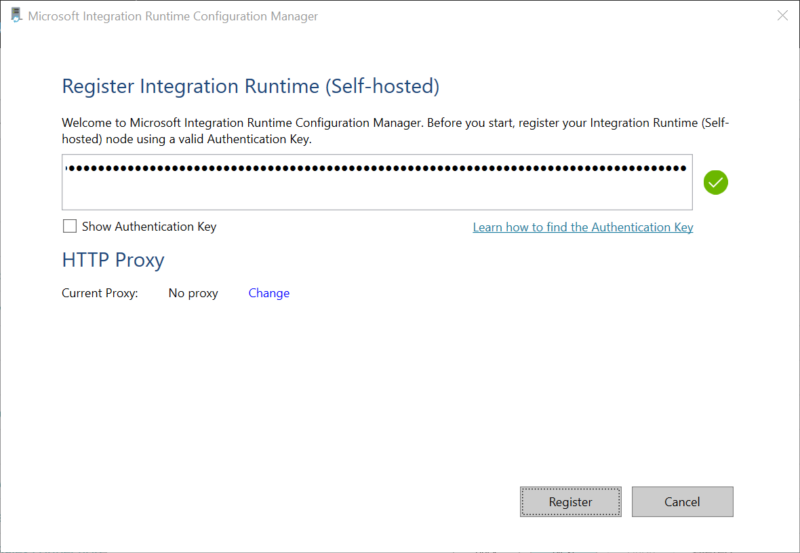 Leave this open as you will need the Authentication Key in your install. Walk through the wizard from here to install the runtime. This part I skipped some screens as it was pretty straight forward “next, next, next” type stuff. I did receive a warning – about sleep mode. It’s a laptop not a server so if you’re installing this in a regular server environment, you likely won’t get this! Copy your Authentication Key from the browser setup and pasting it in should result in a checkmark. Next up you have the option to rename the Node name. 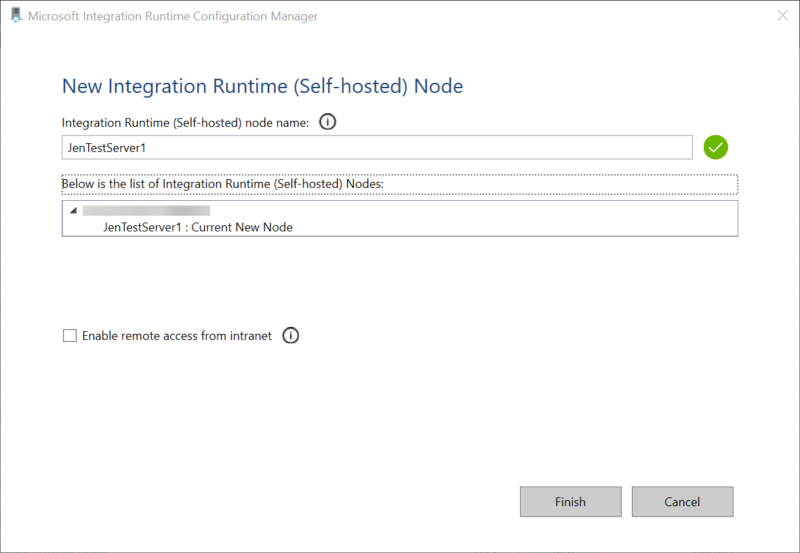 You can have up to 4 nodes connected to 1 runtime service. I made up a name to test this and continued. At this point, I returned to my browser to continue but got a failure message. My mistake? I put the COMPANY db in the connection string, not the SYSTEM db, which is DYNAMICS in my case. Once I fixed the connection string, all was fine. The next screen shows me the companies I have (in my case, a simple install with only one company at the moment). Next is the schedule. In my case I don’t want to activate a schedule yet since this is a laptop not a server. Oddly enough, not pictured, you HAVE to put in a time of day even if you have Activate Schedule turned off. After filling in a time of day (and not activating), I clicked Next. To see the data, I now needed to go to the Gears icon at the top of the D365 window and select Fabrikam (TWO) as my company to continue. 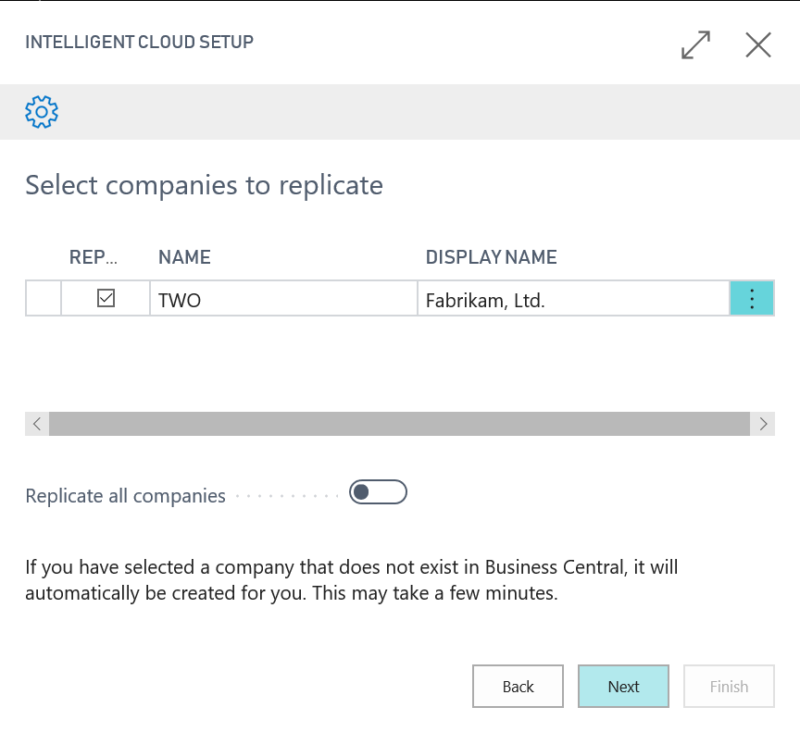 I was logged into another company when setting this up but it creates a company for each company you replicate. 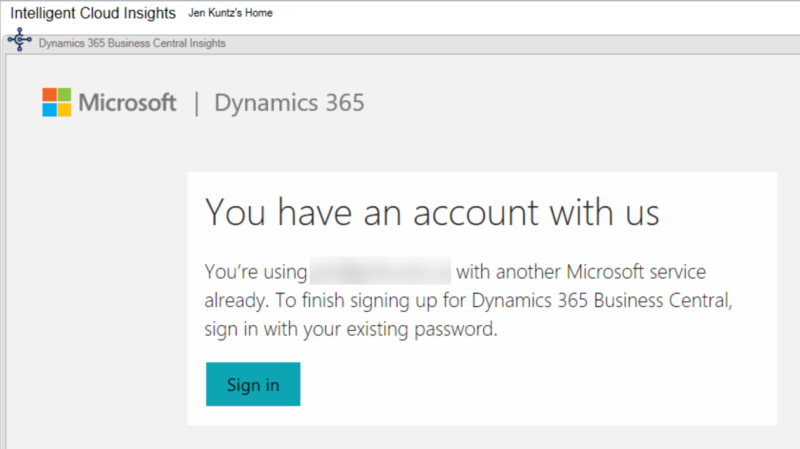 The D365 wizard prompts you to run through some settings for your “company” but I let the default settings apply and turned off the need to sync with a bank etc., and continued through. The one flaw in my plan is not setting up a schedule and I couldn’t find where to manage replication. 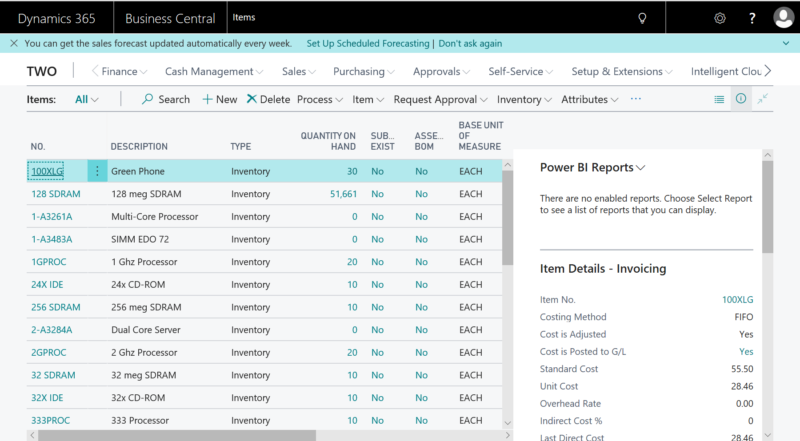 It’s well hidden: you have to search for Intelligent Cloud Management in D365. Under the Actions button, there are several actions including Run Replication Now. I did that and now look at this, I’ve got some data! Ah, everyone’s favourite 100XLG Green Phone! Love it! That’s it for now. It looks like I’ve got a lot of inventory of 128 SDRAM so I had better get “selling”! Great to see a post like this so early! 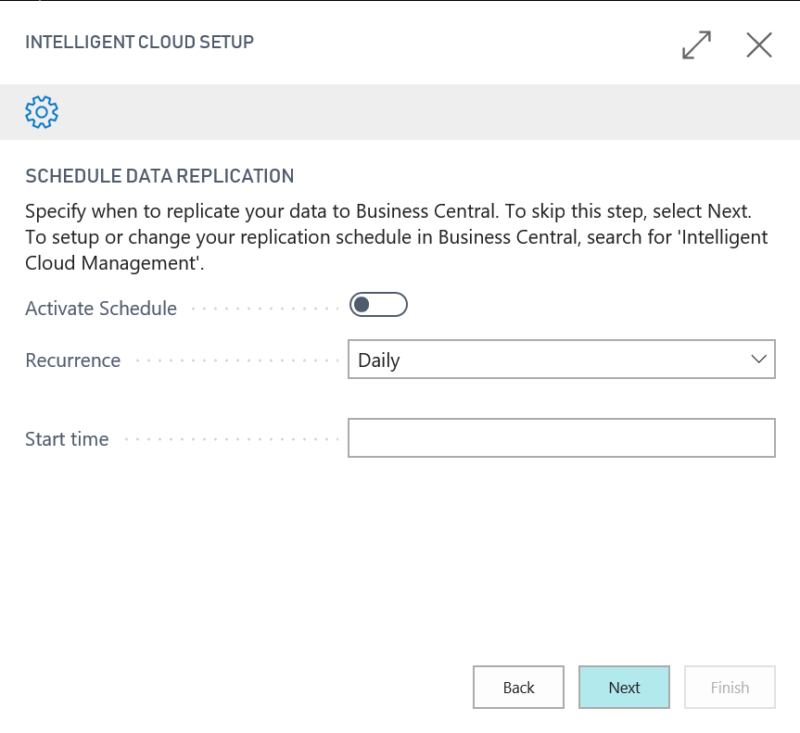 Hoping you will take it further and blog the additional functionality (KPI’s, Power BI, Predictive Analytics, etc) offered by Intelligent Cloud (other than just replicating your data to the cloud). Thank you Ritz. I definitely hope to blog about the functionality around it! This is all great for most of our customers, but some will want this functionality disabled. Where do we disable this link on the home page? 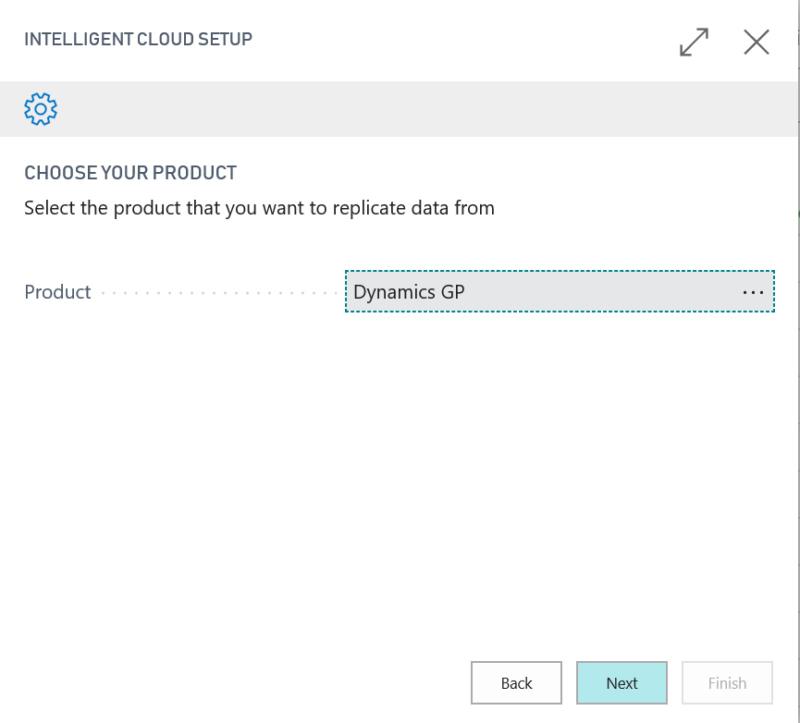 The link will always be there in GP on the home page unfortunately, at least at the present time there is nothing on the product that I can find to “hide” the Intelligent Cloud Insights” tab for users. 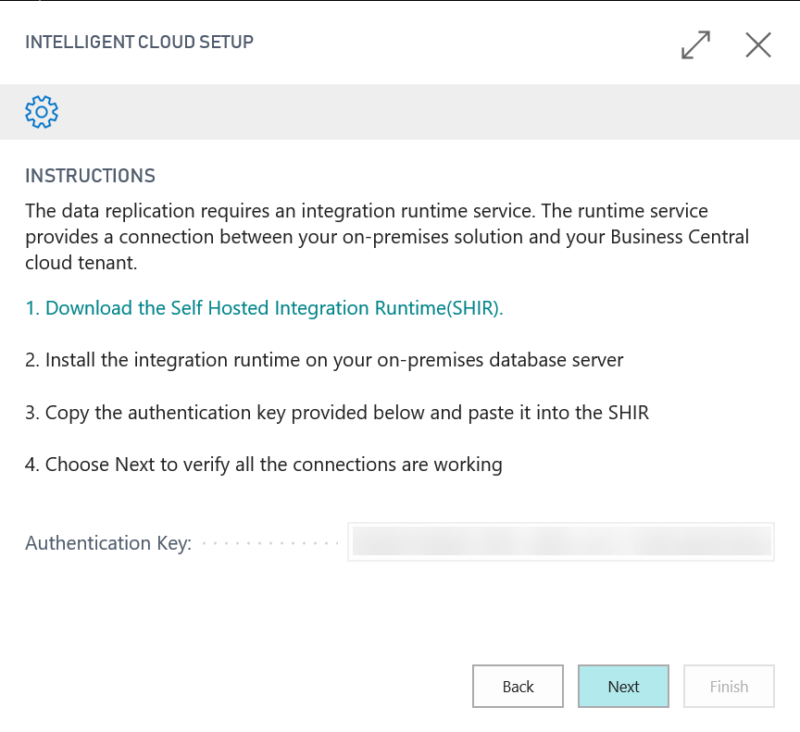 However, there are multiple steps that need to be done and permissions that are required in your Office 365 tenant that likely would prevent your average user from getting into anything they shouldn’t get into. 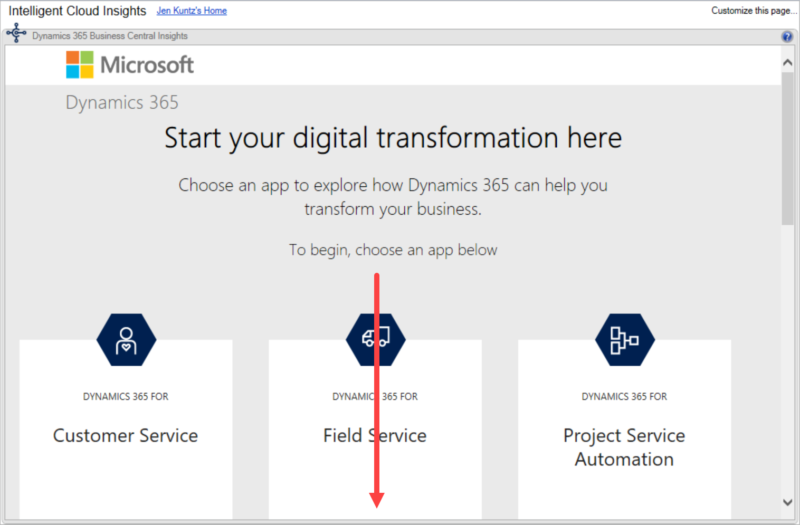 The gateway needs to be installed, which requires a certain level of permission, plus they need a certain level of permission in Dynamics 365 to even get that far to configure or attempt to configure it. This is a great post, really appreciate you preparing this. 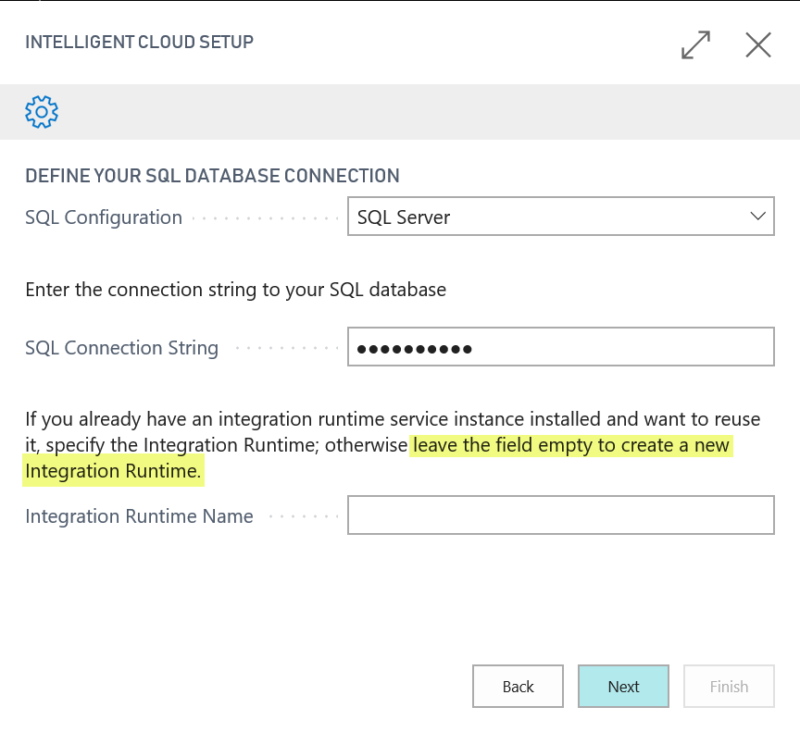 When able, could you please share the SQL connection string you used to connect. 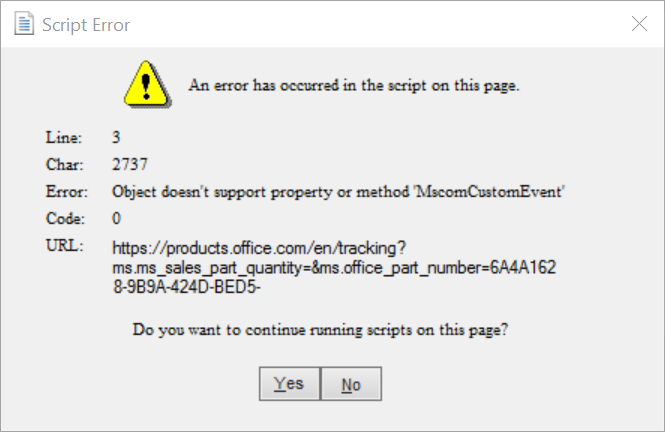 I believe that my connection string is correct, but I continue to receive the “Failed to enable replication” message. The database must be your system db, not a company db; I did hear from one person that it didn’t work for them with a named system db. I am hoping to replicate that on another install but haven’t confirmed yet. I hope that helps? There was nothing on Azure I touched, I haven’t even looked at the data factory side to be honest. I tried following the steps that you did but I get to selecting the product and I cant find GP as one of the options. 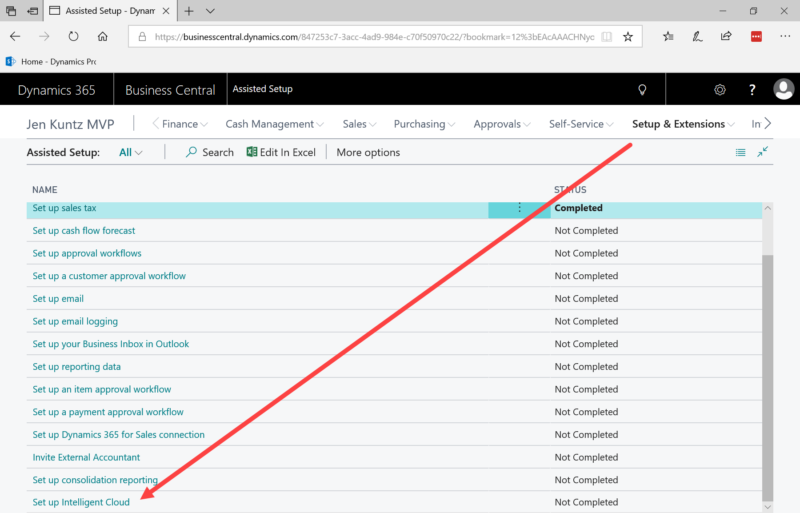 I can only see Dynamics 365 Business Central as the only product that I can select. any idea why? I have no idea… my only suggestion would be to try again later (if you haven’t already) as there may be something “down” at the moment perhaps? It was there right away for me when I went through it originally.